I have been avoiding writing up I Contain Multitudes because I’m not quite sure what to say about it. It’s one of the first science books I’ve enjoyed in a long time? Check. I learned a ton about how my body and its symbionts work? Check. The world is a really amazing place and you should learn more about it by reading this book? Check. And that’s about it. 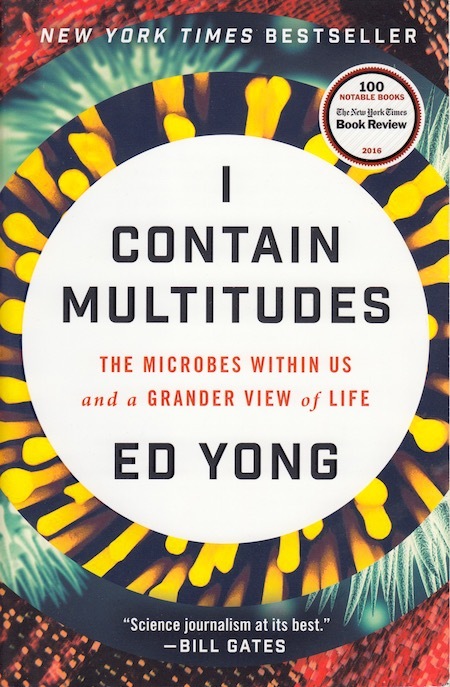 If you like science books about science, read I Contain Multitudes. You’ll probably enjoy it.